Perfect for entertaining clients, employees, friends & family! 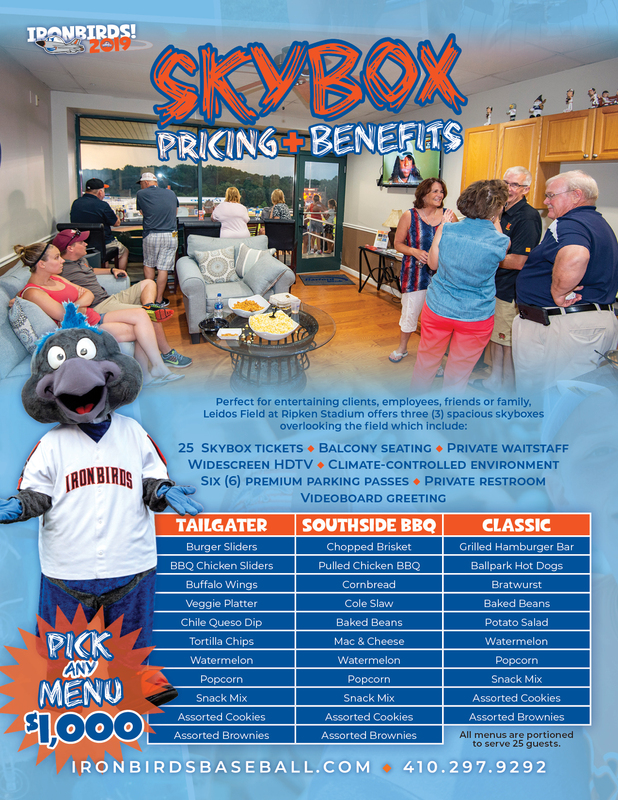 Leidos Field at Ripken Stadium offers three (3) spacious skyboxes overlooking the field. 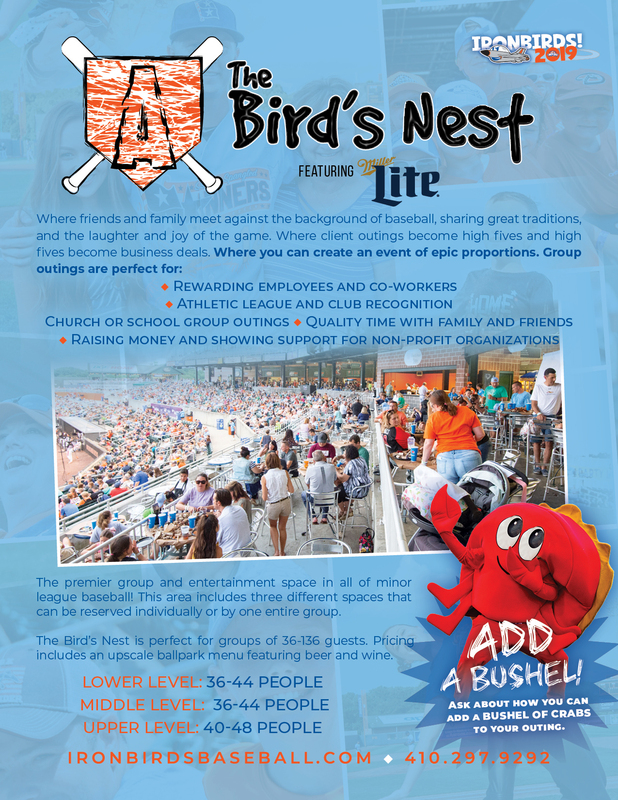 Your group can enjoy IronBirds games from the unique bird's eye view of the club level. 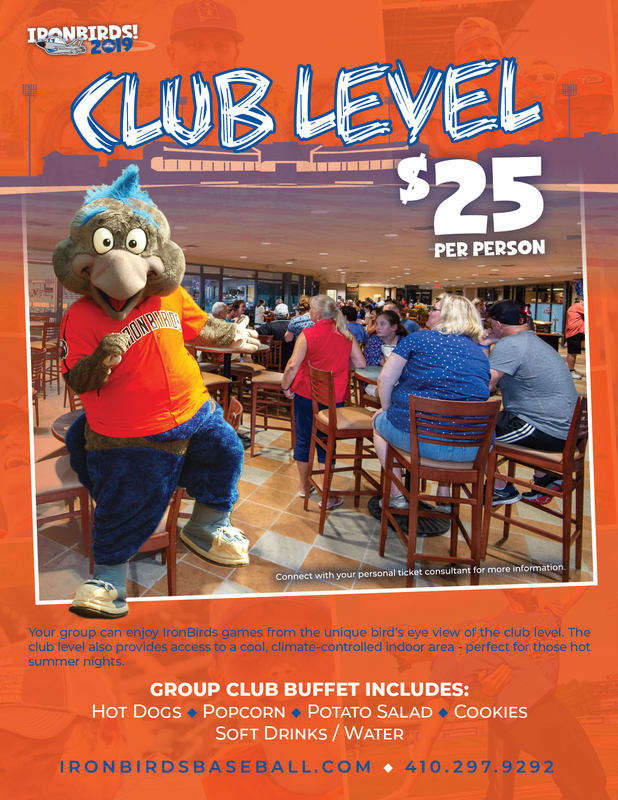 The club level also provides access to a cool, climate-controlled indoor area - perfect for those hot summer days! Where friends and family meet against the background of baseball, sharing great traditions, and the laughter and joy of the game. Where client outings become high fives and high fives become business deals. 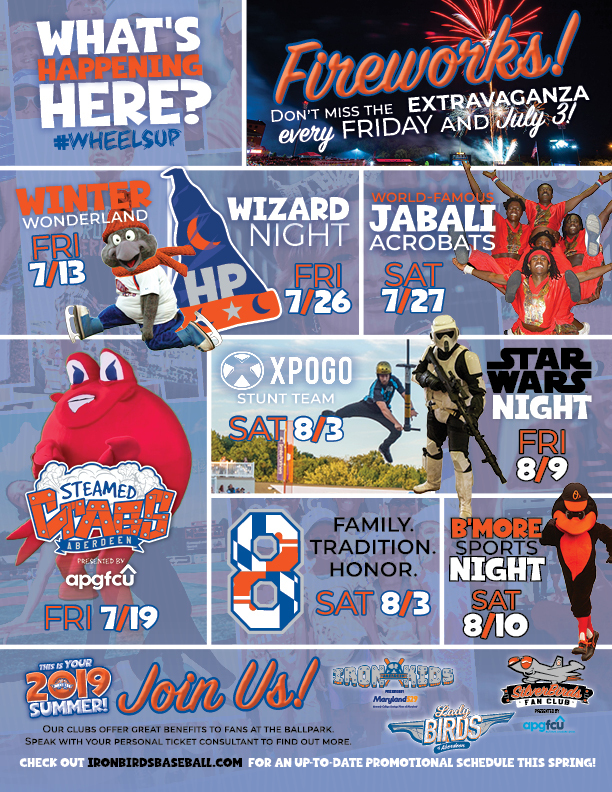 Where you can create an event of epic proportions! 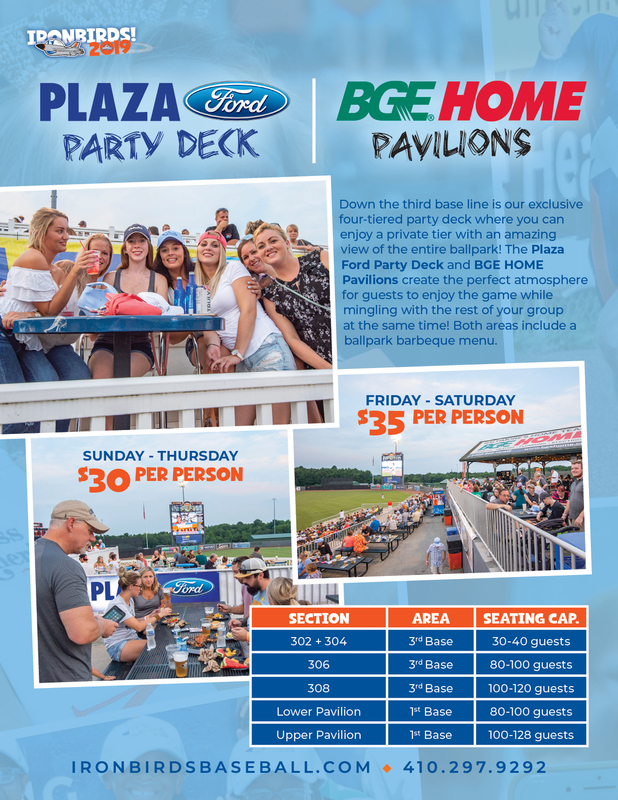 The Plaza Ford Party Deck and the BGE Home Picnic Pavilion create the perfect atmosphere for guests to enjoy the game while enjoying mingling and good food!